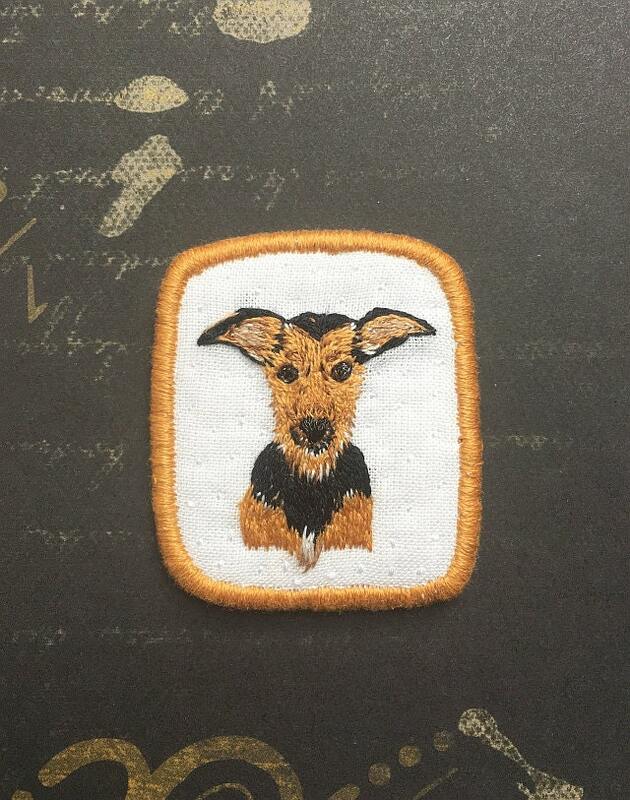 Textile Pet Portrait Brooch with Terrier mix dog Oscar - Funny Dogs - collection, hand embroidered textile dog jewelry. 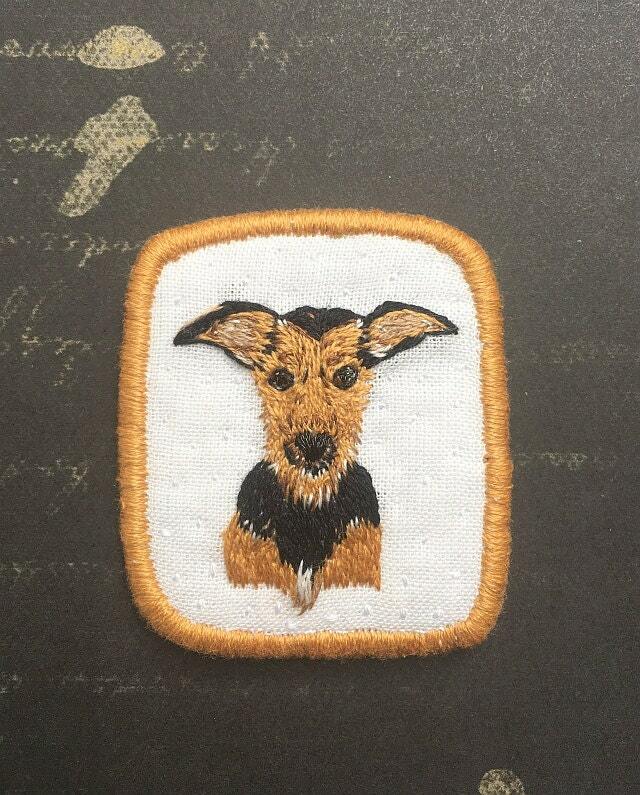 Terrier brooch. 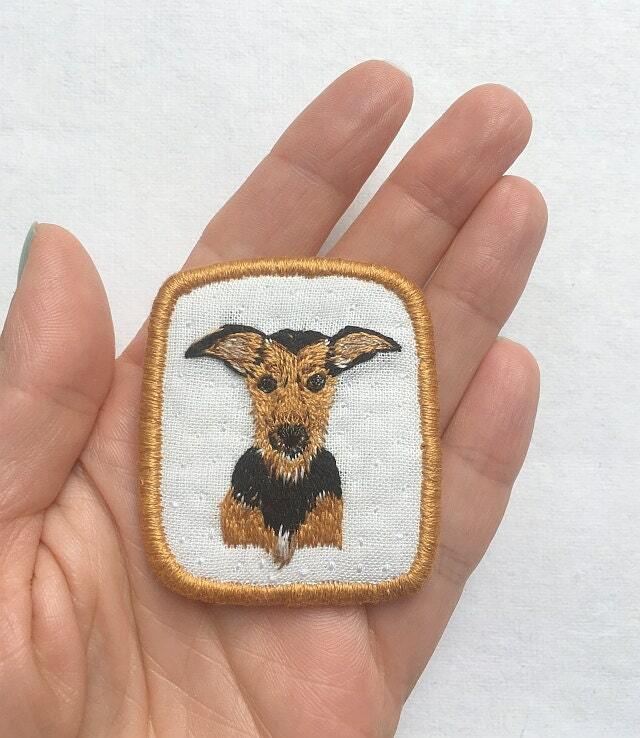 Hand embroidered portrait brooch with Terrier mix dog Oscar. Perfect gift for dog owner! 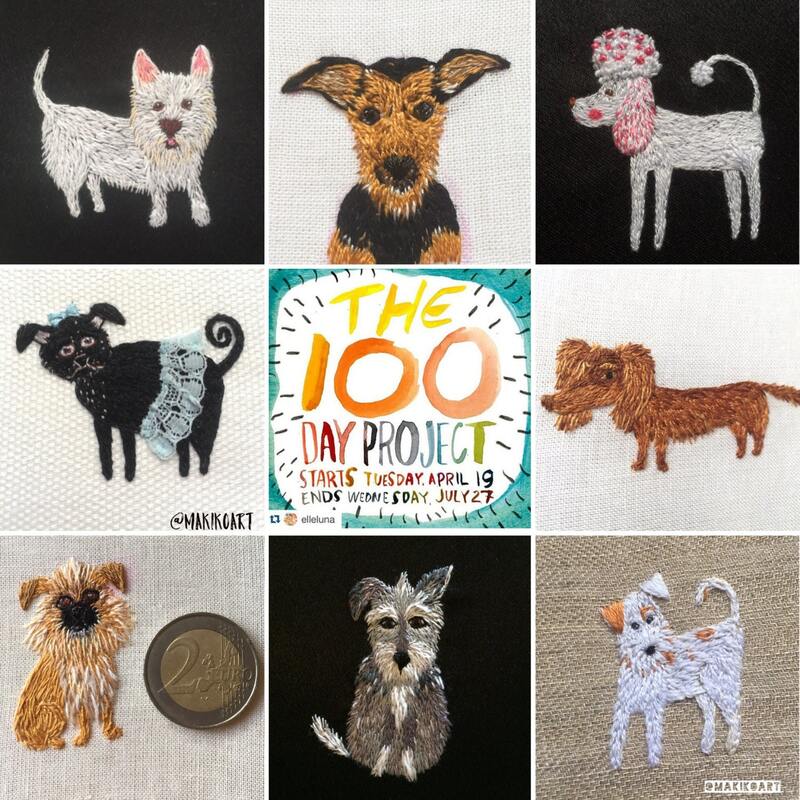 Those brooches are hand embroidered. Each brooch is handmade and OOAK. So if you have any question, just contact me!